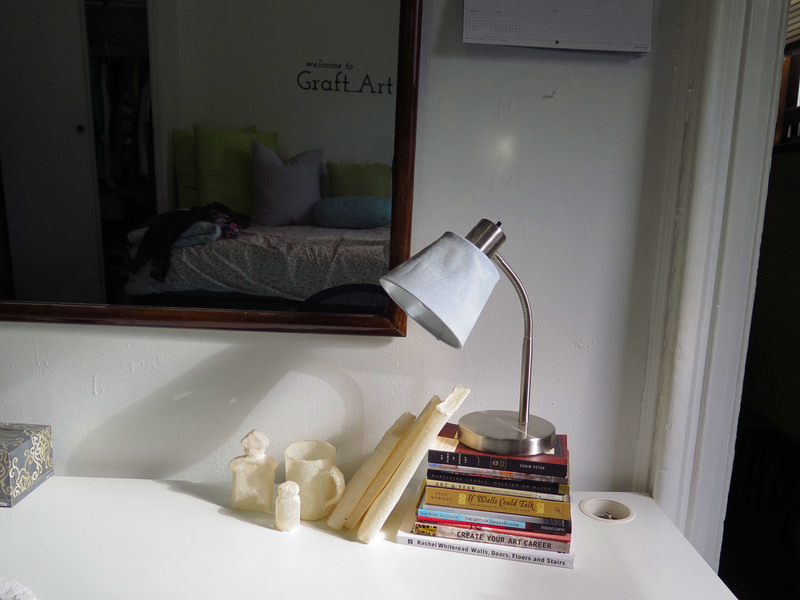 I was inspired by the apartment to make objects that reflect the mundane character of the domestic setting. A mug, a few books and a handbag are the humble yet quintessential stuff of our lives. By representing them, I want to bring attention to the overlooked beauty of the everyday. They are fragile, transparent still lives meant to remind us of the fleeting moment.